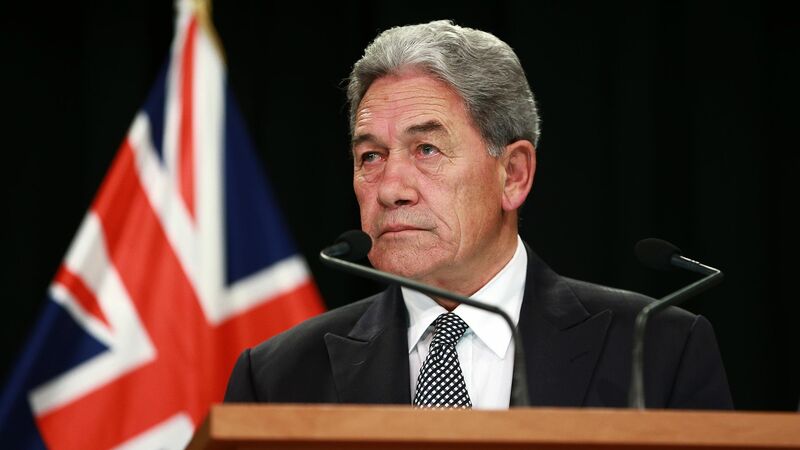 New Zealand's government introduced legislation Monday that would ban the type of guns used in the Christchurch attacks — and acting Prime Minister Winston Peters warned defiant gang members: You will hand them over. The latest: The bill passed its first reading Tuesday afternoon local time with all but 1 of the 120 lawmakers voting in favor of the legislation. Police Minister Stuart Nash said during the debate gun-ownership was a privilege, not a right. Details: Gang members told New Zealand media they wouldn't hand back their guns. But Peters said: "Yes, you will be handing them back. It's not a matter of cooperation, it's a matter of being obliged to conform with the law of this country, or to be operating illegally." What they're saying: "Will gangs get rid of their weapons? No. Because of who we are, we can't guarantee our own safety," Sonny Fatu, president of the Waikato branch of the Mongrel Mob, told Stuff. "The attacks between our organisations are gang-on-gang, they do not involve the non-gang members." The gangs said they would never attack innocent people, as happened in the mosque attacks. What's next? The bill has bipartisan support, and the new law is expected to come into effect April 12 — less than a month after the March 15 attacks. The government has established a buyback scheme costing up to NZ$200 million ($136 million). People will have until Sept. 30 to hand back their military-style, semi-automatic weapons and assault rifles. Nash said anyone who didn't hand back the weapons could face 5 years in jail.